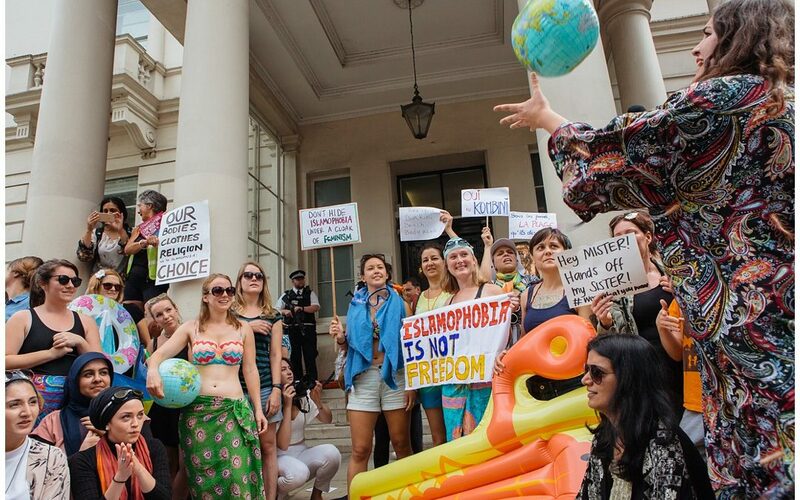 After pictures emerged of an armed police officer forcing a woman to remove her long sleeves and leggings on a beach in Nice, a protest beach party was swiftly planned and executed outside London’s French Embassy. 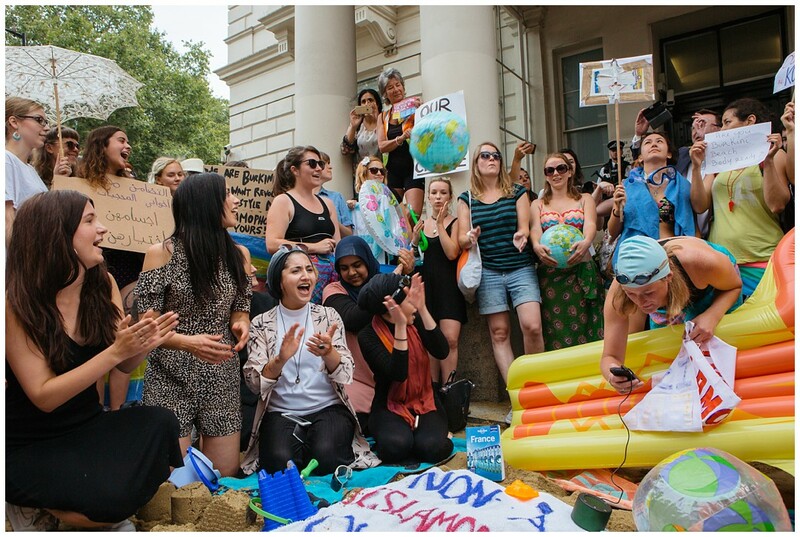 Sand, deck chairs and lilo’s were resplendent with women and children having a defiantly good time in whatever clothing they chose to wear. 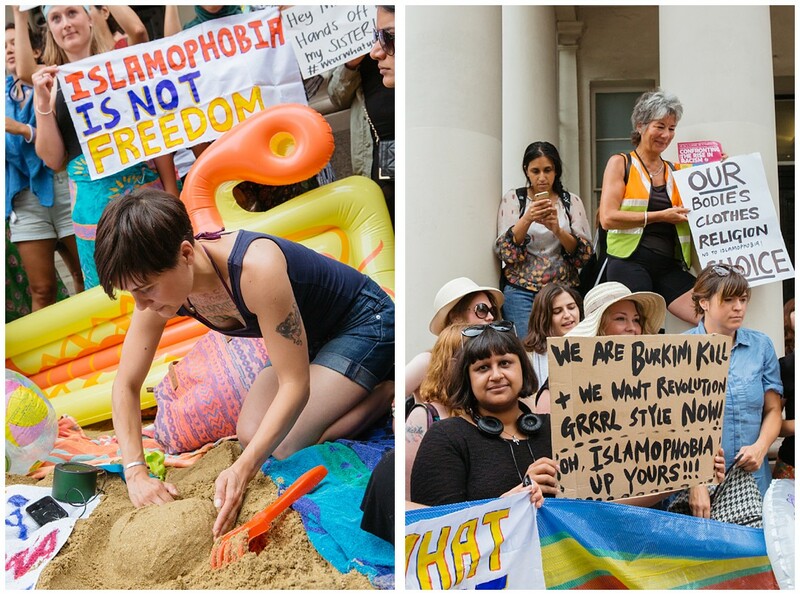 Singing, beach ball games and dozens of strongly worded placards sent a very clear message of defiance and solidarity with muslim women to the assembled press throng. Read the Guardian write up here.